On Saturday 27th January (2-3:30 pm), we will be running the second coding club session at the Ashford Congregational Church hall for up to 20 young people aged 7 and above. CodeMakers offers young people the opportunity to learn programming skills using Scratch in a fun, creative, social and informal environment. They will need to bring along a laptop and a mouse for the session. 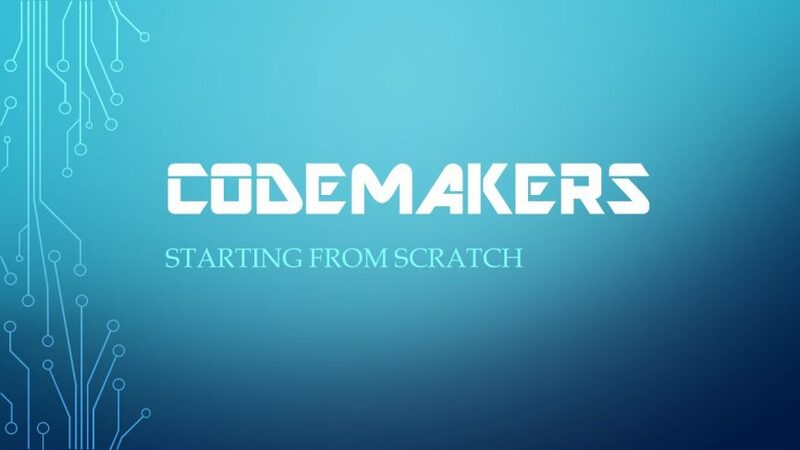 CodeMakers is organised and led by Ula Ojiaku and Liam Maguire. Ula is a Christian and an Electronics Engineering graduate with an MSc in Computer Science (UCL) who, over the course of her career spanning 15+ years, has worked in various technical and management roles involving programming and training. She is a Reviewer with the Massachusetts Institute of Technology (MIT) Scratch Translation Team as well as a lead mentor and steering group member with CoderDojo Ham. Ula also regularly mentors at other coding/ digital-making activities and hackathons for young people across London and beyond. Liam is also a Christian, and the Families Worker at Ashford Congregational Church with experience in web development (HTML/ CSS) and Scratch. Together with their experienced team of volunteers they are passionate about empowering young people to develop relevant, practical skills (e.g. problem-solving, critical thinking, teamworking, etc.) through learning coding (i.e. computer programming) and digital-making in fun and accessible ways. But why run an event like this? That means an understanding of programming languages is increasingly important in the modern world and although it’s never too late, it’s both better and easier to learn these skills early. Only 20 places are available for this event -so early booking is advised. To minimise the risk of people booking only not to show up on the day (depriving others of the opportunity to attend), you will need to book a free parent/ carer’s ticket with these to indicate who would be the accompanying adult. Please contact Ula (uloakuojiaku@hotmail.com) or Liam (liam.maguire@aboutacc.com) if you can’t afford the fee or have any other enquiries. Again, please note that a laptop computer and a mouse is required for this activity.